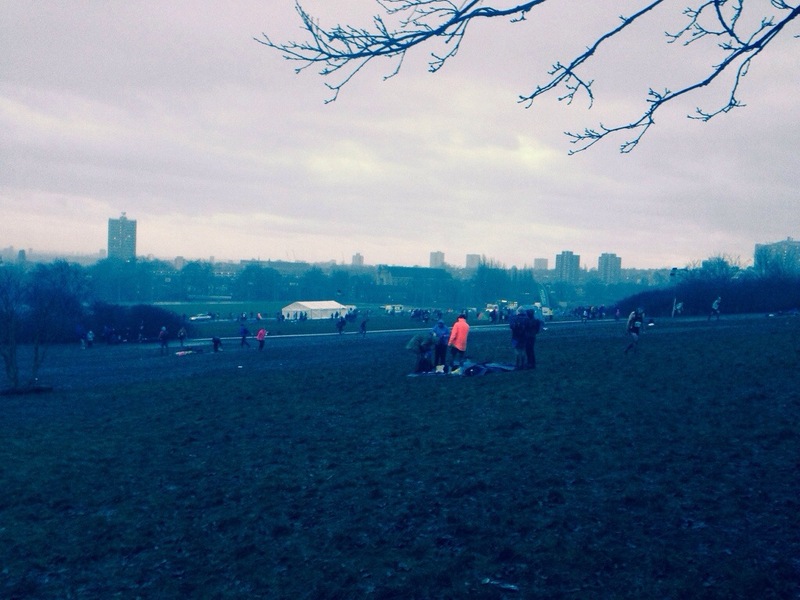 Parliament Hill on the day of the South of England cross country championship. Our warm-up has been broken by a stream of women racers crossing the path ahead. We pause to watch the gritty, multi-coloured procession. After negotiating the path, the women descend slightly into a hollow of sludge of unknown depths. At the centre of this hollow of sludge of unknown depths is a bollard. Miss this in the crowd of runners and you’ll lose a kneecap. From the sludge, they climb across a morass. The earth was molten. ‘You’d pay £70 for this,’ my club mate remarked. You could. People – can I call them runners? – do. 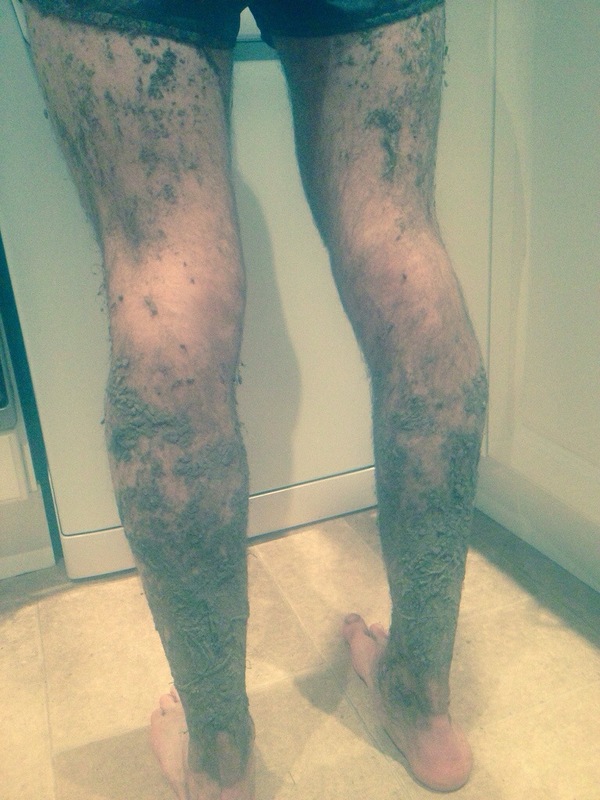 Rename one of the grandest cross country affairs of the year the Tough Brutal Muddy Hell Beast. That’ll be £70, please. We jog back to the start. It was out turn next. 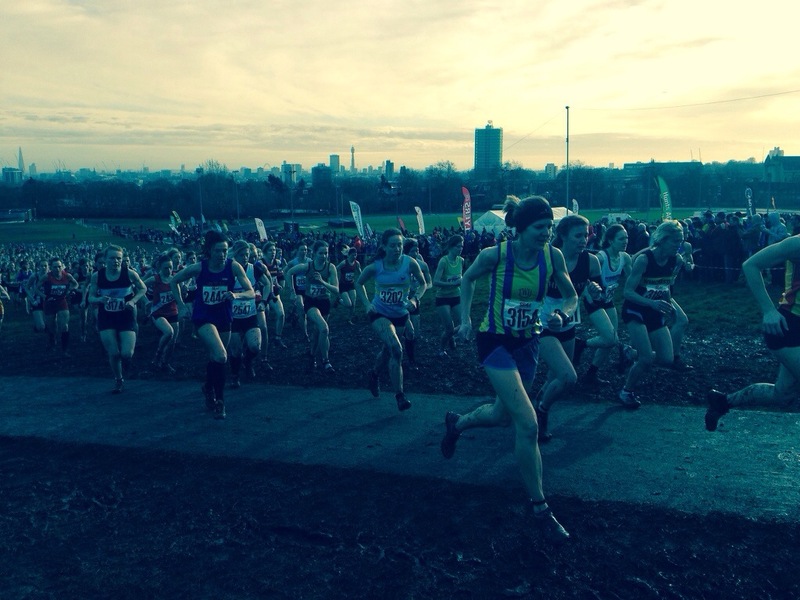 The South of England cross country is traditionally a nine-mile race typically held at the ‘spiritual home’ of cross country: the Parliament Hill area of Hampstead Heath. For ‘South’, draw a line from the Bristol Channel to The Wash and you’ve roughly got it. Conditions are determined by rainfall. Where’s my thesaurus? Muddy. Boggy. Mucky. Mud-caked. Swampy. Quaggy. You get the picture: it is brown, not green, underfoot. The gun. The surge. Some 1000 runners unleashed on the first climb. The mud is a myriad of consistencies, creating a going that is unrelenting and exhausting. The mud isn’t the problem, though. Nor the unrelenting hills. It’s the speed you have to go across that mud and up and down those hills. I fear my spikes, newly inserted 12mm weapons that could kill a man, are digging into my feet. They are not. It’s an excuse to be weak. I fear a fortnight-long cold is effecting my breathing. It is not. It’s an excuse to be weak. I contemplate slowing, to ‘save myself’ for the last lap. I can’t. It’s an excuse to be weak. After a shade over 61 minutes, the suffering is over. I am 194th. It sounds dreadful, doesn’t it? Yet I’ve averaged six-minute, 45-second miling over a course akin to a Somme battlefield. I’ve run more than a third of a marathon at roughly two hour, 55 minute pace. The runner in 193rd has a 5k personal best of 16.35 in 2013; the runner in 195th has a 10k best of 34.51 from last year. The course, I later find out, climbed some 300 metres, the equivalent of scaling Surrey’s Leith Hill from sea level (and then descending it). Finishing 194th doesn’t seem so bad. It is getting dark. A storm of hail sweeps across the liquid fields. It is very January. I arrive home an hour later buried under a layer of mud. ‘Did you have fun?’ my wife asks. She always asks this question. Yet there was beauty in the brutality, pleasure in the pain, ecstasy in the extreme. I didn’t answer. Fun is irrefutably the wrong word. Cross country runners don’t have fun. Cross country is not fun. It was, however, without doubt, the best £70 I’ve never spent.